So, you have Venus in Taurus? Lucky you! Beauty planet Venus is at home in the Taurus zodiac sign, as she rules the constellation – there is great harmony to be had with the placement and a natural affinity with art, good food (and wine), comforts around the home setting and a general understanding of what looks and feels sensational. Those with Venus in Taurus are warm and affectionate, tactile and a fan of a stable, loving relationship. 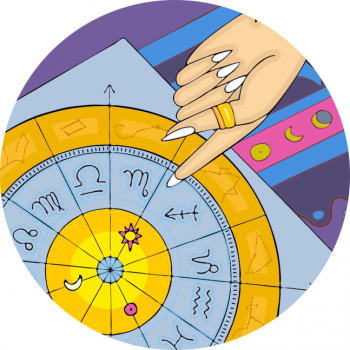 They can be possessive, but are faithful, devoted and as a fixed sign they’re loyal. Resolutely in tune with the senses and all that is sensual, Taurus is a sign that emanates high levels of enduring femininity, an enveloping, rich dress style of indulgence and opulence. They emanate a steady gracefulness like no other Venus placement. This sign can amp up the luxe factor, with a real understanding of the material, the tangible and the finer things in life. Stable and earthy they’ll also be drawn to buying practical pieces that tick the box on comfort. They’ll feel their way around a department store, fingers gravitating towards soft silks and sumptuous satins. Pink is a lucky colour for Venus in Taurus, and they can also look fabulous in florals. Venus in Taurus with a Taurus Sun – Double Taurus! Discover more about Venus and see the other styles of the zodiac signs, here.